Visit the Alturas Wildlife Sanctuary in Puntarenas to view Costa Rica’s native wildlife up close. The sanctuary operates a veterinary clinic that rescues and rehabilitates injured and orphaned animals, and releases them into the wild when they have recovered. 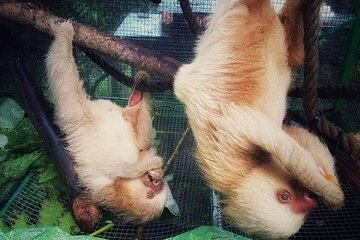 See critters such as monkeys, sloths, parrots, toucans, and more on a guided tour of the sanctuary that lasts about 90 minutes. Ideal activity for all ages.